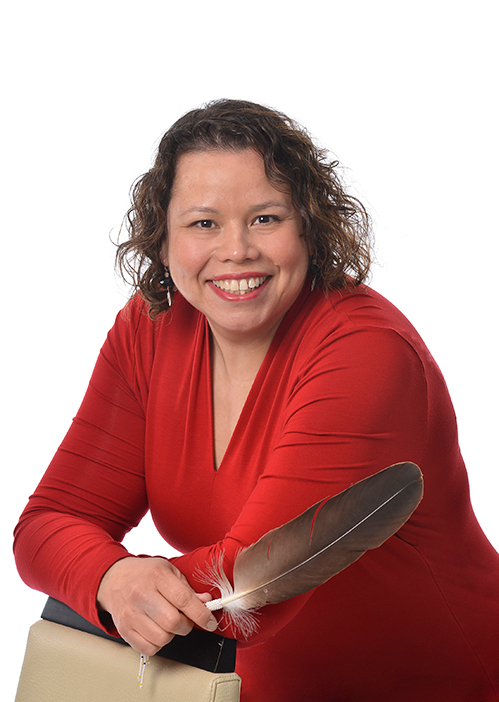 Karri-Lynn Paul’s journey with Coady International Institute started in 2011 as an Indigenous Women in Community Leadership program participant. She later continued with the program as a facilitator, then a mentor, and in 2018, officially joined Coady’s Teaching Staff with the program. Karri-Lynn is a Wolastoqiyik (Maliseet) woman and a member of Woodstock First Nation in New Brunswick, and has a passion for working with Indigenous women leaders. “Leadership is living your highest values and beliefs,” says Karri-Lynn. In her youth, Karri-Lynn served for several years as a national youth representative for the Assembly of First Nations and co-founded the Aboriginal Youth Council of New Brunswick. More recently, she served as an elected town councillor in Redwood Meadows, Alberta, and as a member of the First Nations Women’s Council on Economic Security for the Government of Alberta. She is a member of the Going the Distance National Advisory Committee for Further Education Society of Alberta, and before joining Coady’s staff, she managed the Aboriginal Education Program and Iniskim Centre at Mount Royal University. Karri-Lynn is owner and operator of a facilitation and coaching business. As part of International Development Week (Feb 3-9, 2019), and every day, we thank Karri-Lynn and all who work “together for gender equality”.